The benefits of ginger and turmeric are incredible. Not only does this tea have to potential to boost your immunity & enhance your body's anti-inflammatory response, it will also help prepare your digestive fire (agni) to efficiently assimilate food into nutrients. 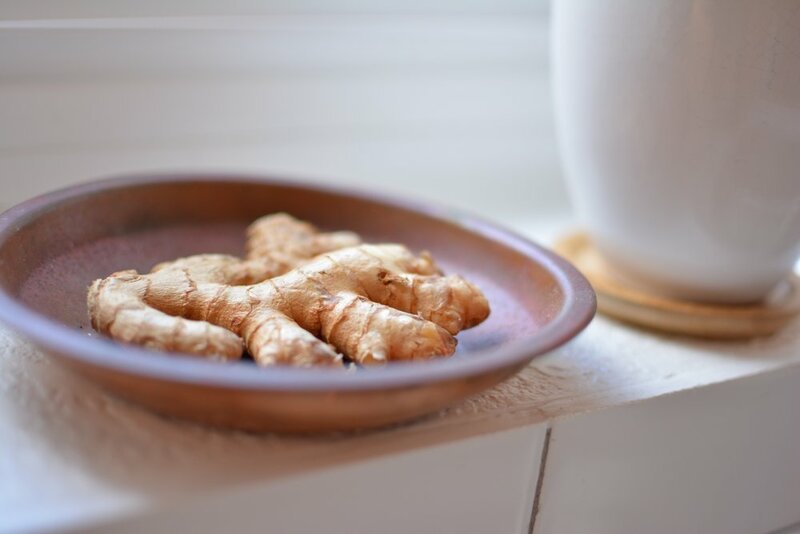 If you're up for it, try incorporating ginger tea into your daily morning routine. Serve as is, or strain. ADDITIONAL CONSIDERATIONS . . . This ratio, may be quite concentrated; if you'd like to mellow it out a little, dilute by filling your mug halfway with ginger tea and adding equal parts warm water. For an additional boost, add a pinch of ground black pepper to increase turmeric absorption in the body. If you know you won't have time in the morning, make it the night before. Letting it cook down even more & using the concentrate (decoction) to flavor kombucha or herbal medicines.